Central Melbourne Value! Over 6.4% net yield! Over 6.4% net rental yield returns! Nestled in a peaceful location in the heart of historic Chinatown, Punthill Little Bourke provides the perfect base to experience some of the best culture and entertainment Melbourne has to offer. The property is adjacent to Her Majesty's Theatre and walking distance to the Princess Theatre, Federation Square and the main retail precinct of Melbourne CBD. 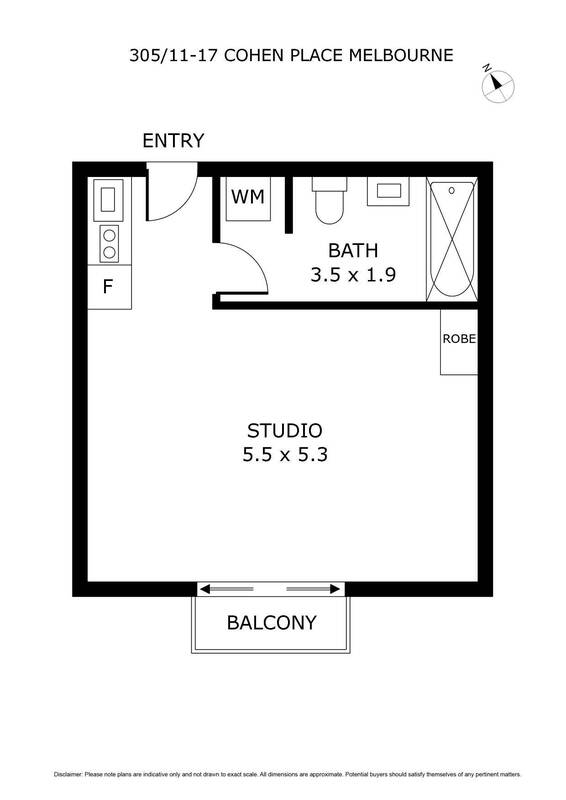 This generous studio apartment has style and will impress upon first sight. Comprising a light and bright open plan kitchen with gas cooking, large living/bedroom area with an abundance of natural light through floor-to-ceiling windows. The generous bedroom zone with mirrored BIRs features a brand new bed frame and mattress, study desk and red feature wall. Additional features include split A/C system, laundry facilities with washing machine and dryer, shower over bath plus residents will also enjoy use of the pool and gym facilities located on the ground floor. - Leased till 31st Oct 2020 with 3 further terms of 5 years each option. - Current Rent is approx. $324 per week, $1408.02 per month or $16,896.24 per annum. - Rent increase of 3% annually with market review at the end of each term. Outgoings inclusive of Council Rates, Water Rates and Owner's Corporation /Strata Admin Fund levy are all paid by the tenant, whilst the owner only pays the Owner's Corporation Maintenance / Strata Sinking fund levy of $468.92 per annum.